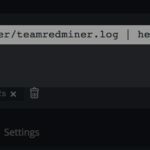 Главная » Mining » teamredminer v0.3.6 Beta Release CNv8 – Vega 64 2200 + h / s Rx470 1025 + h / s.
CNv8 – Vega 64 2200 + h / s Rx470 1025 + h / s. Reduced consumption. Maps: 470-580, 550/560 and Vega. NOTE. This miner does NOT monitor the temperature of the graphics processor. The user must ensure that the graphics processors (s) are operating within the limits of power and temperature. This is a setup guide. This miner is more lean than other CN miners. This can lead to an increase in the hash, low power consumption, or both, or none of the above. Your mileage may vary and is highly dependent on membrane belts and watches. If you work with the same hashing as other CN miners, you can expect your power level to decrease from -5 to 20 watts per gpu, depending on the gpu model and clock. To enable a higher level of hashing, this miner typically requires a higher _core clk_ than is commonly used in CN mining. If you don’t go crazy, your power is likely to be lower than other miners in the low hours after all. This is the only way to achieve speeds> 2200 h / s on the Vega 64. This miner has less control than a standard CN miner. It always works with two streams, and you control the intensity per stream in the range of 1-16. In addition, you can choose one of two modes: + and -. The mode often does not affect the final result, but never prevents him from trying. For some Polaris cards, a good blockchain debugging driver works fine. However, one driver that seems to work well in all directions is 18.6.1, and this is the driver that we used in all of our Windows tests. You need amdgpu-pro 18.30 drivers for your Vegas under Linux to achieve the highest possible hash. Also note that this release does not include ROCm support for CNv8, it will be included in the upcoming release. The standard configuration is 8 + 8 for all these cards. 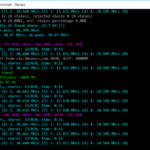 7 + 7 can give the same optimal hashherat, and 9 + 9 can, especially on Linux, give better results for 480/580. For some cards, 16 + 14 is the best choice, but it also increases the likelihood of obsolete stocks. You must have good shoulder straps to achieve a good hash. Usually, for example, the Pimp My Straps feature in the SRB Polaris Bios editor is sufficient. For mem clk, raising it as much as possible, avoiding memory errors, this is good. The clk core should normally be between 1230-1270. For the 580s, the clk boosted core to 1300 can push the hasheratum to 1100 h / s, while still remaining at reasonable power. We have seen that several Polaris cards cannot reach 1020-1030 h / s with this miner when they are equipped with proper membrane belts. We have not optimized this miner for Baffin yet. We conducted several small tests, and we think that the miner will be competitive on these cards as well. For 560, 4 + 4 there should be a good configuration. Let us know your results! Vegas can end anywhere from 1900 to 2270, depending on whether it is 56 or 64, a control card or not, and your choice of hours. Interesting configurations for your Vega – 14 + 14, 14-14, 15 + 15, 16 + 14. You can also try 16 + 15, 15 + 14, etc. Meme clk is very important and you should strive as high as possible. while keeping your stand. If you have a Vega 64, please feel free to try a higher kernel core. A 16 + 14 configuration will often not show its true capability before hitting the 1500 core clk. Your strength should still be reasonable (as lower than that of other miners on more standard hours). For a lower clk core around 1408, some cards are best suited with 16 + 14, others with 15 + 15, some with 14 + 14, YMMV. Sorry, we support only cards 470-580, 550/560 and Vega. For most of the Polaris maps below, one-click Pimp My Straps in the SRB Polaris Bios Editor is used for membrane belts.